Looking for a better way to refresh your home’s bathroom? It’s easy when you choose remodeling services with our flooring and remodeling store, your local home furnishings resource. 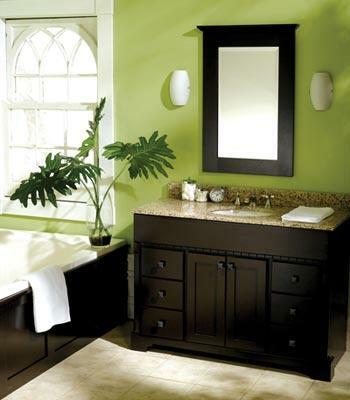 Though we specialize in flooring, we also offer full bathroom remodeling in Bedford, NH. Let us guide you as you explore options that make your bathroom a pleasure to use for friends and family alike, including custom tile showers, floors, and more. If you’re unsure of kind of bathroom you would like to build, rest easy – our team is here to help you brainstorm and bring your ideas to life. Reach out to schedule a meeting with a remodeling specialist and discuss your goals for your bathroom. We’re happy to recommend certain looks, furnishings, or design elements if you so choose, making the entire process easier. As an experienced bathroom remodeling contractor, we understand the role your home’s bathroom plays in its comfort. If you don’t have somewhere to place towels, cleaning supplies, and other essentials, it can be hard to make the most of your space. That’s why our bathroom renovation specialists work hard to create a bathroom design that works for your space and your lifestyle. What is the difference between a remodel and a renovation? Many people have heard both these terms tossed around, but aren’t sure of their exact definitions. Remodeling generally involves moving, removing, or adding major fixtures. Renovating, on the other hand, usually means purchasing new materials, upgrading outdated components, and breathing new life into old features. When you’re ready to renovate, it makes sense to choose a bathroom renovation contractor that places your family's needs first. We understand that adding new features to your home can be challenging. Let us help you get started. We shoulder the majority of the work, leaving you free to focus on choosing materials and fixtures that suit your budget. For years, we've helped homeowners take advantage of unused space in their homes. Upgrading the bathrooms in your home opens up a world of possibilities. Now, you can get the features you’ve always wanted, or expand to accommodate your growing family. Our remodeling contractors are here to help you think of new ways to refresh this space and add value to your home. A bathroom is just the beginning, so don’t hesitate to stop by our showroom to explore other possibilities. Contact our bathroom remodeling and renovation team to discuss your ideas. We serve residents of Bedford, NH, and the surrounding areas.